You know that moment when you finally try on an online order, only to discover the actual result is even better than you had expected? 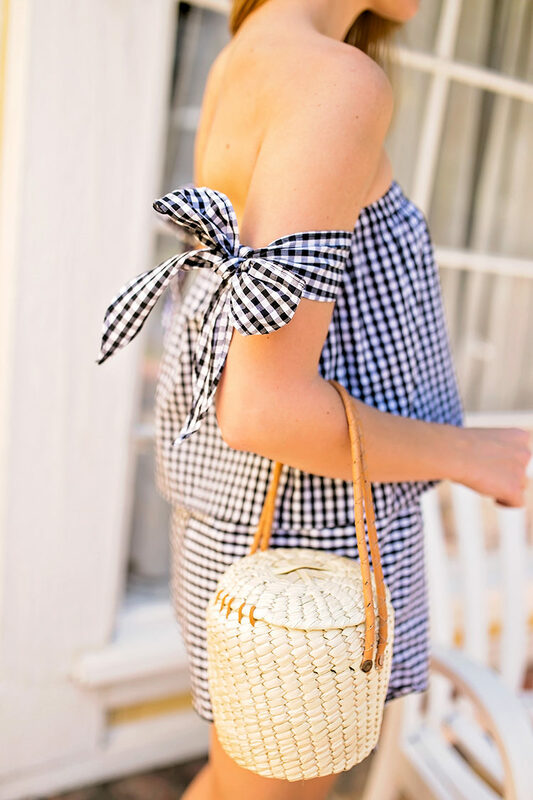 *cue the Hallelujah chorus* That, my friends, is the story of this darling little navy gingham set! I wore this set to dinner here in Seaside, Florida just a couple of days ago, and loved how breezy and cool it was while still being so feminine and cute. I plan on pairing these shorts with an easy white tee, and wearing this navy off the shoulder top with jeans and wedges well into fall! On another (even more fun) note, did you see I’m hosting a giveaway over on my Instagram? It ends Sunday, so don’t miss! That’s a cute two piece for that price. Stylish! Oh my gosh this set is the cutest!! That’s a gorgeous set! I like the top a bit more than the shorts but both look amazing together and they’d be amazing separate as well. I love the off the shoulder style of this top with ties! It’s darling. I hope you’re enjoying Florida! 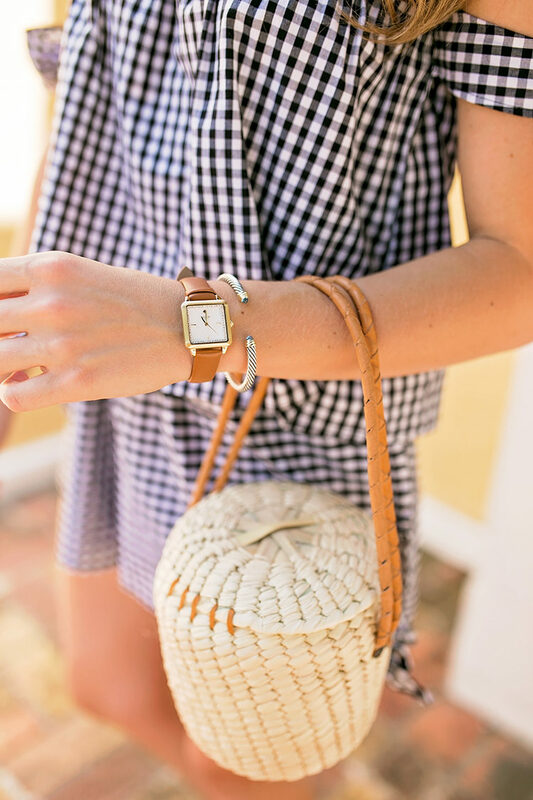 Obsessed with this gingham set and totally thought your sandals were Hermes- such a good dupe!